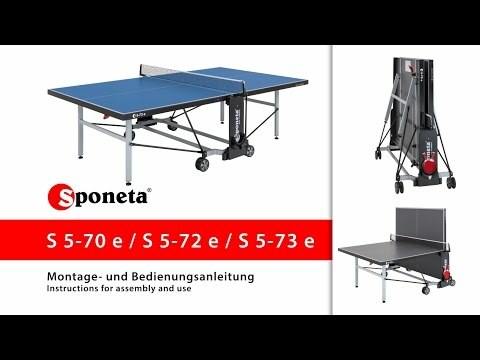 The Sponeta Deluxe Outdoor Table Tennis Table has a strong frame and a 6mm weatherproof resin playing surface. It has four fully manoeuvrable wheels (meaning that it doesn’t need such a large turning space) with rubber treads and bat and ball storage for convenience. It has the playback facility for solo practice and the weatherproofing on the table is very good. The feet also have height adjusters to help achieve a level surface. Please note: We feel that this table is expensive when compared to similarly priced models in the Cornilleau and Kettler range, so we strongly recommend taking a look at those.